Shirley Jackson relates her own memories of Millie as a mentor and a friend. Hello, I am Shirley Jackson, President of Rensselaer Polytechnic Institute. I was a student of Millie's, as an undergraduate at MIT. She became a lifelong friend and mentor, so I thank Millie's family for giving me this opportunity to honor her. When I entered MIT as an undergraduate, I was one of just two African-American women in my class. The other students were often unwelcoming to me, and some of the professors could be equally so. At one point, thinking of majoring in physics, I asked a distinguished professor for advice. His response was, "Colored girls should learn a trade." It was solely her musical and academic talents that brought her into a different sphere. In other words, she understood a wide range of struggles and a wide range of people. And I believe that that made her into the kind of person she was. She certainly understood what it meant to defy those who had low expectations for women or for people from less than wealthy backgrounds. Her thesis advisor at the University of Chicago, who thought women had no place in science, basically abandoned her. Yet she was a woman of extraordinary focus and always found opportunity within adversity and constraint, saying that this lack of interest on her adviser's part made her, "a more independent creature than average." Indeed, she found mentors in two Nobel laureates: medical physicist Rosalyn Yalow, another trailblazing woman in science; and nuclear physicist Enrico Fermi. And she became a thoughtful and encouraging mentor, herself. As an undergraduate, I took a graduate-level condensed matter physics course from her. I did very well in her course, and that began our actual personal and professional relationship. The subject matter was inspiring to me, and it was in theoretical condensed matter physics that I built my research career, beginning at the great Bell Labs, although my PhD is in theoretical particle physics. The long conversations Millie and I would have did not end when I was no longer her student. 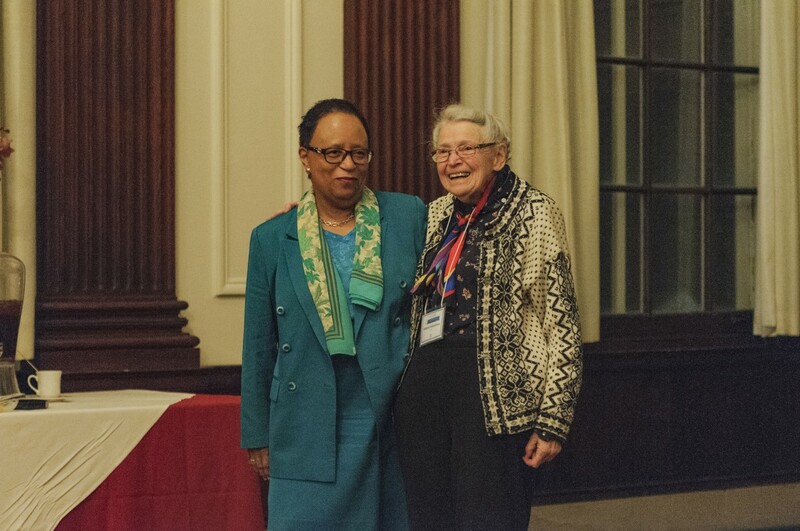 She supported me throughout my career, offering me valuable advice as my research began to be recognized, and I became a fellow of professional societies. In fact, she discussed with me how scientific professional societies made their decisions on whom to elect to fellowship. Millie also inspired me, personally, as I stubbornly made physics my trade and chose excellence over ignorance. And that is because, in her work and life, Millie constantly turned lemons into lemonade. At the beginning of her career, when her division director at the MIT Lincoln Laboratory asked her to set aside superconductivity — the field of her doctoral thesis — she decided to focus, instead, on the electronic properties of semi metals, specifically graphite. She largely had the field to herself but considered the lack of a spotlight on her areas of interest positive, as she balanced four young children and a remarkably productive career as a scientist. When a new focus on accountability in defense research made Lincoln Lab a less forgiving place for a young mother to work, she moved to the MIT campus. Initially, as a named visiting professor, and later became the first woman full-tenured professor at MIT, recruited, in part, for her excellence in teaching physics to engineers. At the time, the MIT physics department was focused heavily on high energy physics, so Millie initially made her home in the Department of Electrical Engineering. But when Millie was elected President of the American Physical Society, the physics department promptly gave her a dual appointment in physics. Her research in subjects initially considered difficult and uninteresting by other scientists soon helped to kick start the field of carbon nano science. Her pioneering research in intercalated graphite, for example, demonstrated the importance of low-dimensional, carbon-based materials. Her observations of carbon clusters inspired other scientists to hunt for evidence of carbon structures not yet discovered. When the National High Magnetic Field Laboratory moved off the MIT campus to Florida State University, and she had to abandon high magnetic field research, she saw this as an opportunity for new adventures, including predicting and exploring the properties of carbon nanotubes and thermoelectric nanomaterials. Her graceful adaptability and optimism offered me an import model as I encountered and stepped through my own unexpected windows of opportunity in industry, academia, and government. And Millie's patience as a teacher, her unwillingness to allow struggling students to quit, and her efforts to break down the institutional barriers for young women in science, including me, were a call to action for all of us who followed her and who seek also to open up opportunities for young people from every possible background and origin. I am forever grateful to Millie Dresselhaus for her friendship, for her warmth, and for her example. I miss her. But her life and contributions live on in our hearts and our minds. Thank you, again, for allowing me to join you for this celebration of her life and to sing her praises.